Saudi King Salman has launched the restoration of Unesco world heritage site at Al Turaif in Ad Diriyah region of the kingdom. 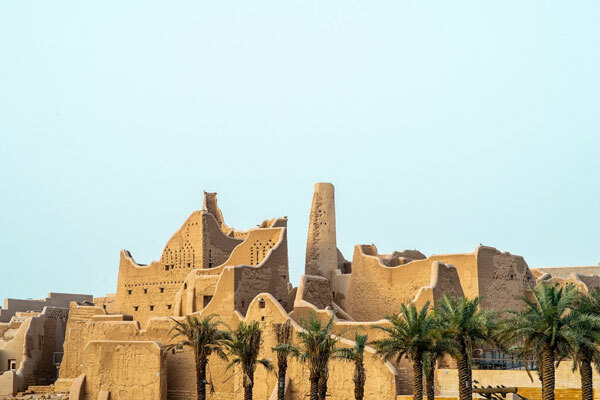 A historical district, Al Turaif is said to be one of the only living museums and the largest mud-brick city in the world. This comes as part of a development program of the ancient Ad Diriyah city which is aimed at developing a vibrant, modern community for residents as a must-visit destination in the heart of the kingdom. Leading GCC dignitaries and top Saudi officials attended the event which is aimed at helping transform the Ad Diriyah city in Riyadh into a touristic and cultural hub in the heart of the kingdom. The Riyadh Development Authority (RDA), formerly Arriyadh Development Authority, was mandated to oversee the complex restoration and development program up until the launch. The Ad Diriyah Gate Development Authority (DGDA), formed in 2017 with a mandate from HRH Crown Prince Mohammed Bin Salman to preserve and develop Ad Diriyah, will now begin operating at Turaif and continue the journey to transform Ad Diriyah into a globally renowned gathering place with the support RDA and other authorities. DGDA Secretary General Ahmed Al Khateeb said: "Ad Diriyah has a special place in the heart of all Saudis. We thank our brothers and sisters at the Riyadh Development Authority for all the extensive work that has been conducted in this historic city as we pause to reflect on the rich history of our nation." "We are committed to developing Ad Diriyah Gate, starting with an extensive beautification project of the areas surrounding Ad Diriyah and Al Turaif and creating spaces for families. This work has already begun, with thousands of square meters of green surfaces added to Ad Diriyah, and 14,000 trees and shrubs planted," noted Al Khateeb. Al Turaif, he stated, is regarded as one of the only living museums and the largest mud-brick city in the world.